Placenta is the placenta and is said to be a popular beauty and health item from the time of the Qin Shi Huang. 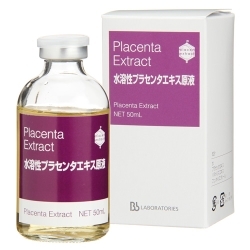 ·The placenta originally contains rich natural skin ingredients such as vitamins and amino acids. • Always use a beauty fluid that will make you feel a lot different every day. · Use it every day will give you a clear and confident skin.